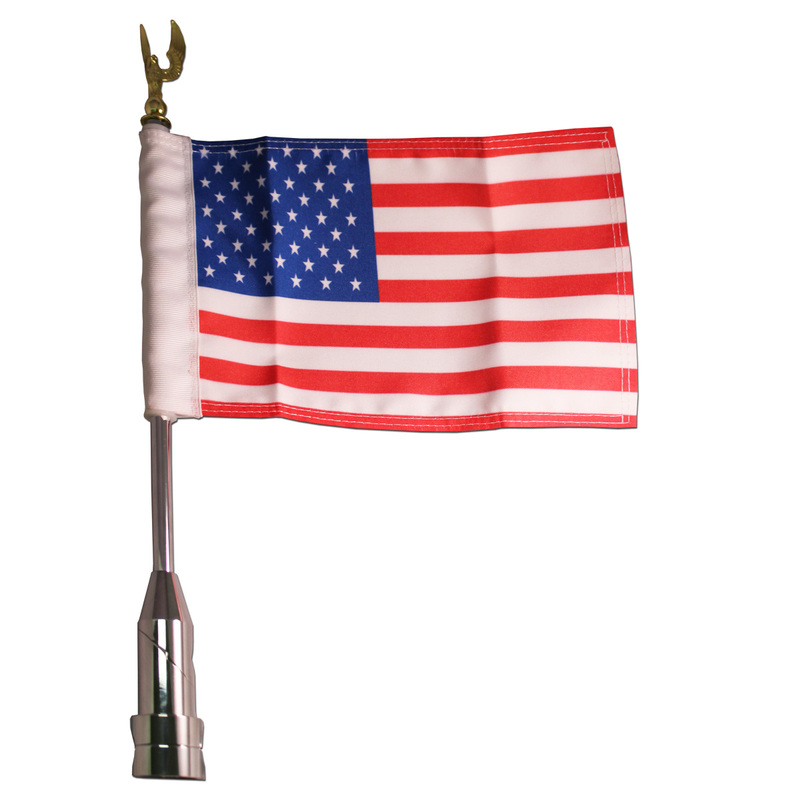 Our fold-down motorcycle flag pole comes with a chromed aluminum finish and an eagle topper. 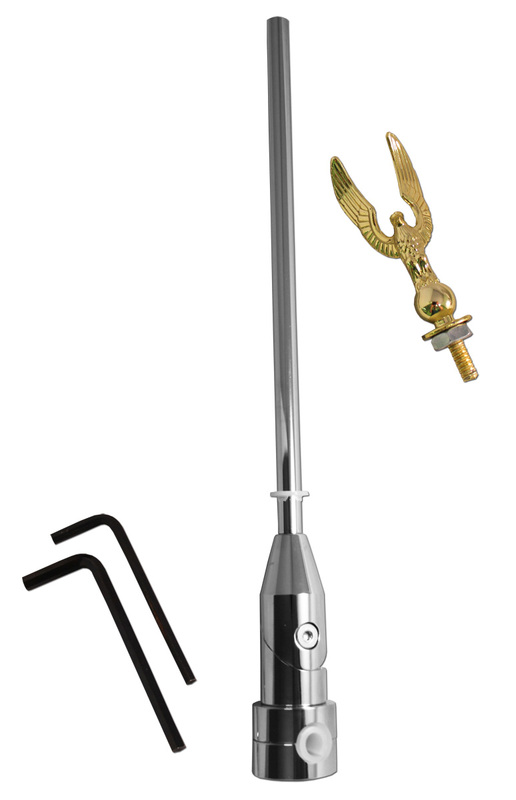 Rust proof and easy to maintain, all tools are included for an easy installation process (second picture shows all items included). Fits 1/2" luggage rack tubing. Pole length is 8.5" and the total length (including base) is 14.5". 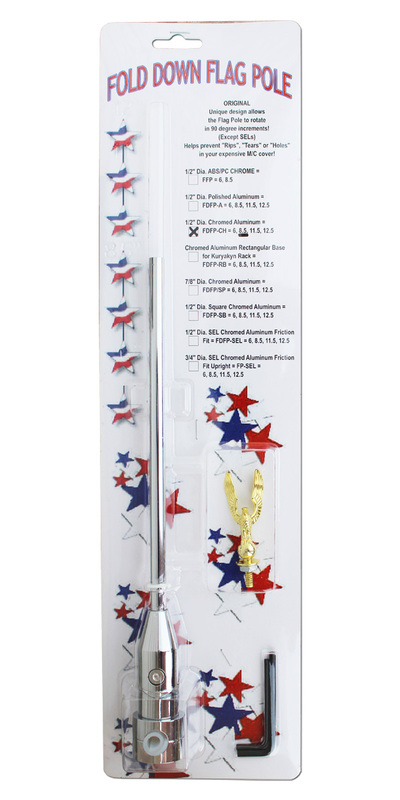 Compatible with our motorcycle flags sized 5.5" x 8.5" and 8.5" x 12.5" sold separately. Third image shows the pole with our 5.5" x 8.5" USA Motorcycle Flag (not included).